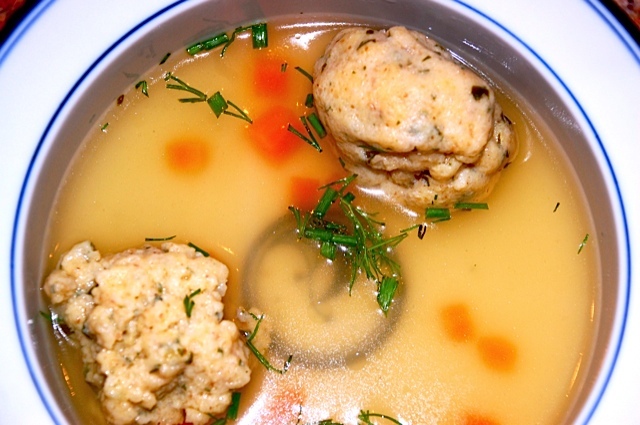 Matzo ball soup is ALWAYS, without question, a huge hit in our family. Ava happened to eat three bowls worth as a first course at our Seder this week – a certain record for one whose eating habits typically resemble a small bird. Why I don’t make this more often, why save such a simple and delicious meal for Passover? I have no answer but I committing myself to make more of an effort to integrate it into the soup rotation over the next few months. After all, during a cold San Francisco summer, who wouldn’t appreciate chicken soup? I’ll be the first to admit that there are endless variations to the basic matzo ball technique – and now that the store mixes have eliminated MSG from the ingredient list, they seem like a good option. But I happen to be partial to the version published about 5 years ago. 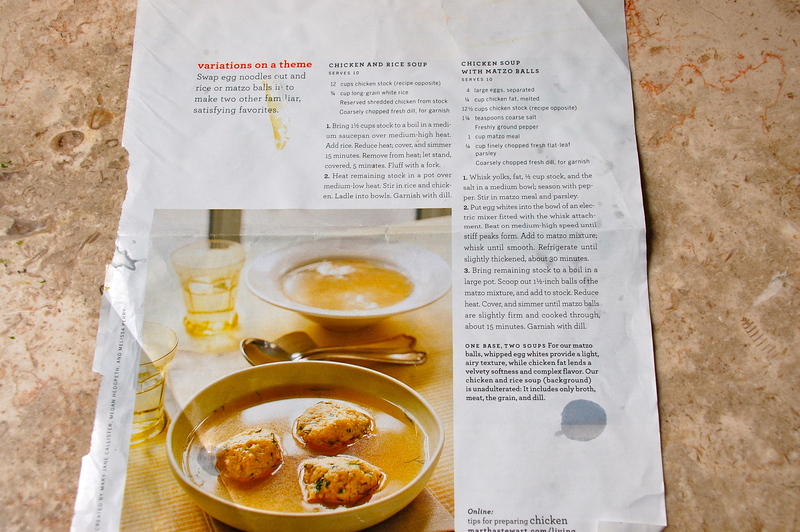 Leave it to Martha Stewart to solve the fluffy matzo ball dilemma! Her secret? 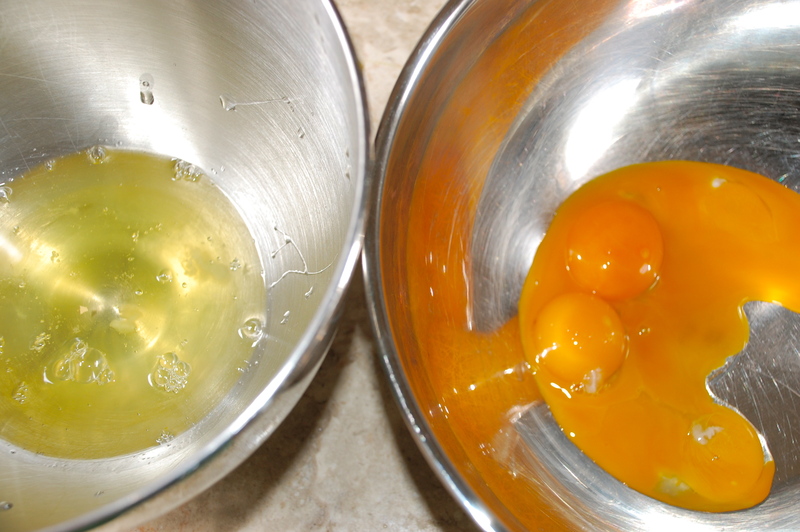 You may be able to spot it in these photos: separating egg whites and yolks, then whipping egg white and folding them gently into the mix. I also used this as an opportunity to make a huge pot of chicken stock to freeze in batches – this time, working with raw wings, thighs and legs rather than starting with a roasted carcass. 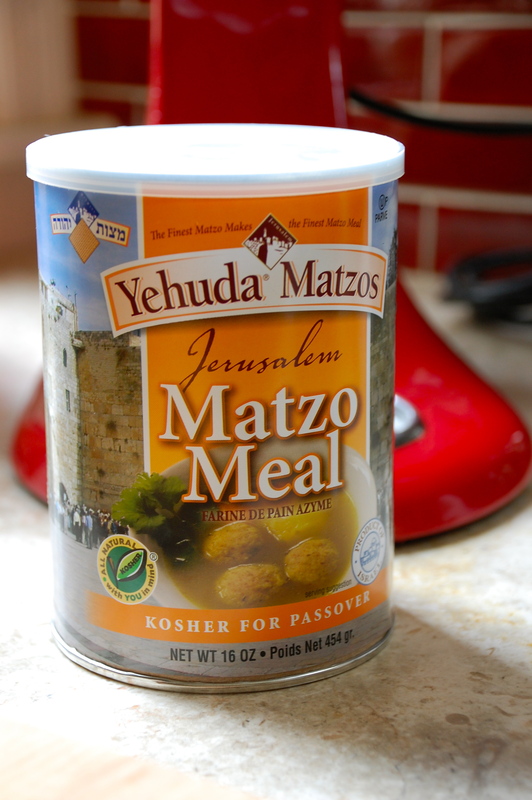 This creates a lighter broth which compliments the heft of the matzoh balls, but any stock will work, even vegetable. Whisk yolks, fat, 1/2 cup stock and salt in a medium bowl. Season with pepper. 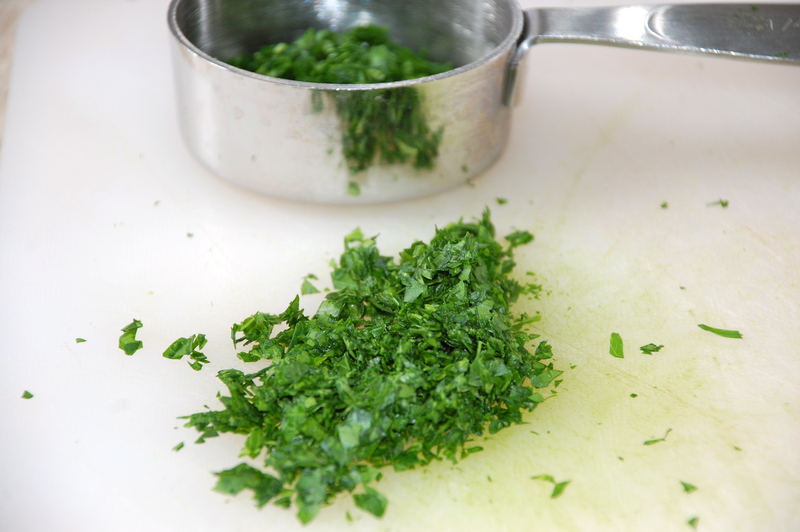 Stir in matzo meal and parsley. 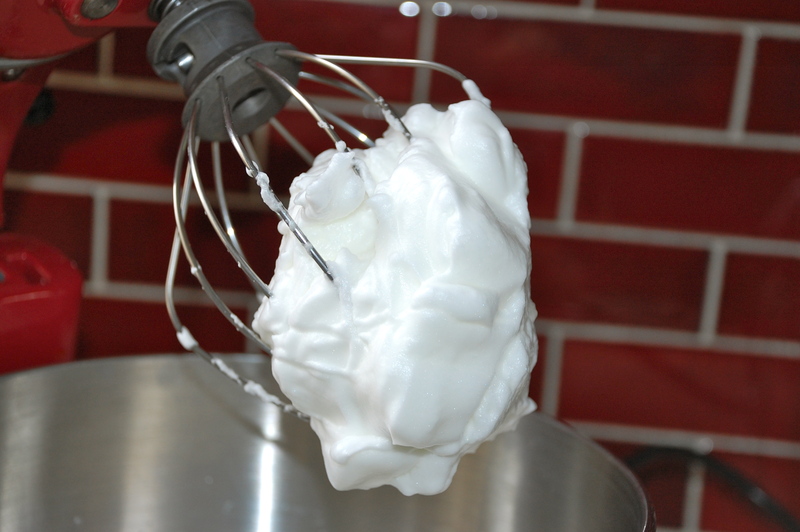 Beat egg whites in a mixer on medium-high speed until stiff peaks form. Add matzo mixture, whisk until smooth. 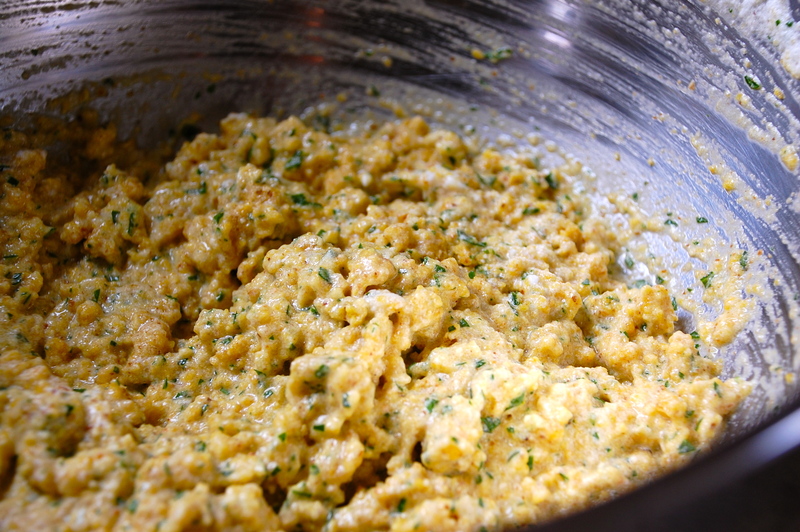 Refrigerate until slightly thickened, about 30 minutes. Bring remaining stock to a boil in a large pot. Form 1 1/2 inch balls with wet hands and add to stock. Reduce heat. Cover and simmer matzo balls until they are slightly firm and cooked through, about 15 minutes. Garnish soup with dill. Lena, I use seltzer water instead of stock in the matzoh balls to create big fluffy balls – an old secret of my grandmother. the soup looks great! Callie loves it too. Loving the blog! Jess, I’ve heard about the seltzer strategy too – will give it a try next time around! Looks delicious. When I was a kid I loved it too. Mine was a little underwhelming this year, but I’m blaming Rocky. Hope y’all had a lovely, inspiring holiday! We didn’t! And you should see the pot I dragged over to the seder – the largest I own. Raincheck? want! do you have any leftovers?